Dark matter, which is thought to account for nearly a quarter of matter in the universe (but has yet to be observed), has perplexed physicists for decades. They’re constantly looking for something surprising to show up in experiments—results that deviate from the standard model that defines elementary physics. 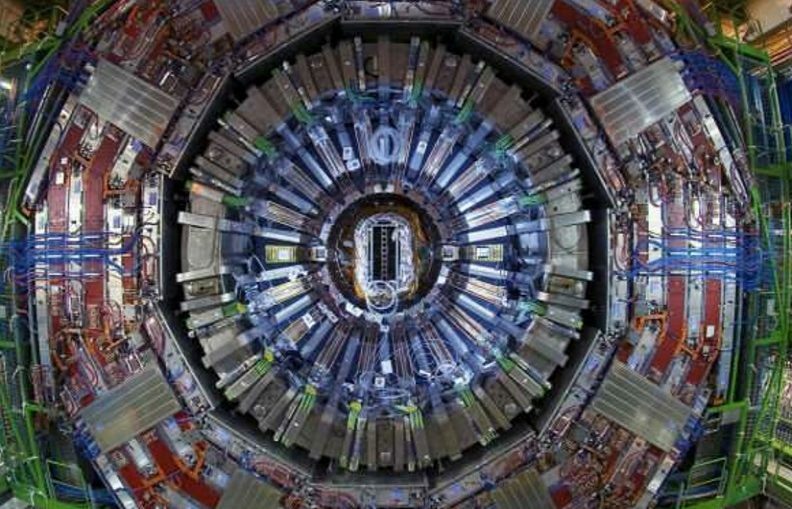 It’s no wonder the scientific community was abuzz when an experiment at CERN, known as ATLAS, detected a slight deviation in an experiment in July 2018. Researchers thought they might have finally uncovered evidence of new physics, which could be a sign of dark matter particles. But a recent improvement of the measurement by the CMS collaboration produced results that are nearly consistent with the expectations of the standard model. The findings were published in the January issue of the CERN Courier. The standard model explains how the basic building blocks of matter interact. It explains chemical reactions, radioactive decays, electrodynamics and more—but not gravity or dark matter. It’s the best description of the subatomic world, but it doesn’t tell the whole story. It’s what is yet to be included in the standard model, or anything that might contradict it, that physicists are searching for. They primarily use particle accelerators, playfully referred to as “atom smashers” by some, in these experiments. The Compact Muon Solenoid (CMS) is one of four detectors at the world’s largest and most powerful particle accelerator, the Large Hadron Collider. The collider uses electromagnetic fields to propel charged particles to relativistic speeds and high energies, contains them in beams and sends them smashing into one another. The process remains fairly stable throughout the CMS data-collecting process, but how the information from the detector is analyzed and processed is constantly being tweaked. As the methods for interpreting data improve, the collider itself is taking some time off from experiments for renovations. While physicists, engineers and technicians work to make the machine stronger and more efficient, scientists will sift through the incredible amount of untouched data collected thus far. Despite not seeing any strong deviations from the standard model as we know it, Jung remains hopeful. Matthew Jones, an associate professor of physics and astronomy at Purdue, is also a member of the CMS Collaboration, which brings together members of the particle physics community from across the globe in a quest to advance humanity’s knowledge of the very basic laws of our Universe. CMS has over 4,000 particle physicists, engineers, computer scientists, technicians and students from around 200 institutes and universities from more than 40 countries.